That’s a lot of people! 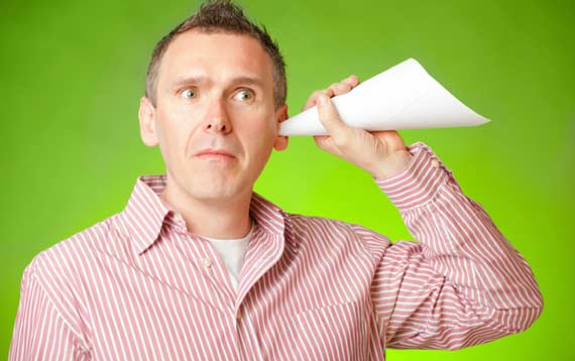 In fact, the latest available statistics show that over 10% of the U.S. population reports difficulty hearing! That’s more than 31 million people! As the Baby Boomer generation continues to age, that number promises to increase dramatically! That’s why the hearing professionals at Parker Hearing Institute are dedicated to providing lasting solutions for our patients. Are you someone who no longer hears as well as you once did? If so, you are certainly not alone. One of the most common “myths” about hearing loss is that only “old people” suffer from it. In fact, the reverse is true. The majority (65%) of people with hearing loss are younger than 65 and six million people in the U.S. between 18 and 44 suffer from hearing loss (Better Hearing Institute). Conductive Hearing Loss (CHL): This type of hearing loss is due to problems in the outer or middle ear. Common examples include wax, fluid in the ear, eardrum perforation, or damage to the middle ear bones. Conductive hearing loss is often treatable through medication and/or surgery. After treatment, hearing may improve. Sensorineural Hearing Loss (SNHL): This is permanent hearing loss, caused when the tiny hair cells in the cochlea are damaged or missing. In most cases, the only solution for this type of hearing loss is to be fit with hearing instruments. Mixed Hearing Loss: This is a combination of conductive and sensorineural hearing loss and is usually treated with hearing aids and will often be treated medically by the ENT physician, followed by the use of hearing instruments. You can depend on the skilled, caring professionals at Parker Hearing Institute in Torrance, CA to help diagnose and explain your hearing loss and then guide you to the best solution for your hearing healthcare needs.